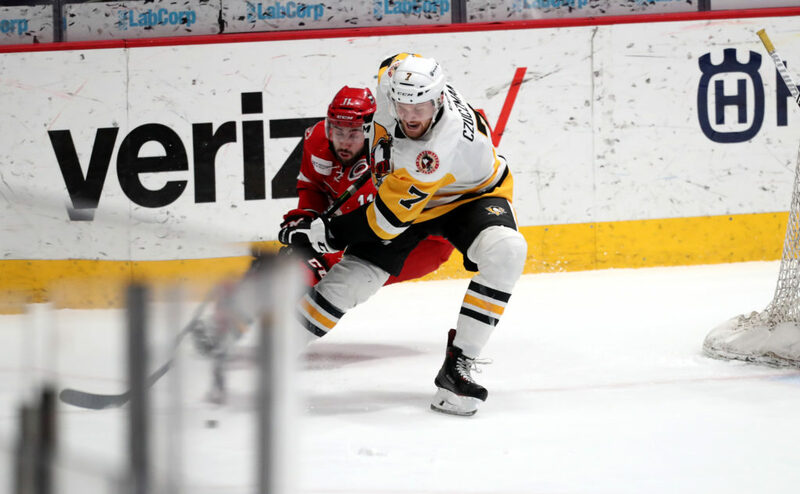 CHARLOTTE, N.C. – The Wilkes-Barre/Scranton Penguins scored 22 seconds into Game Two of their Atlantic Division Semifinals series against the Charlotte Checkers, but the Checkers bounced back to win 4-1 at Bojangles’ Coliseum on Saturday night. 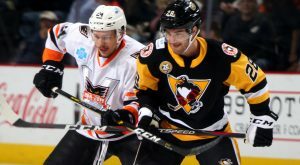 Wilkes-Barre/Scranton finds itself in a 2-0 hole in the best-of-five series as it takes the series home to Mohegan Sun Arena at Casey Plaza for the final three potential games of the Atlantic Division Semifinals. The Penguins started the game on the right foot, scoring on the first shift of the contest. Andrey Pedan’s point shot was stopped by Alex Nedeljkovic, but the goaltender couldn’t locate the rebound before Joseph Cramarossa slammed it into the back of the net. Cramarossa’s tally 22 seconds in was the second-fastest goal to start a game in Penguins playoff history. Charlotte eventually countered at 13:47 of the first period with a strange bounce that fooled Tristan Jarry. 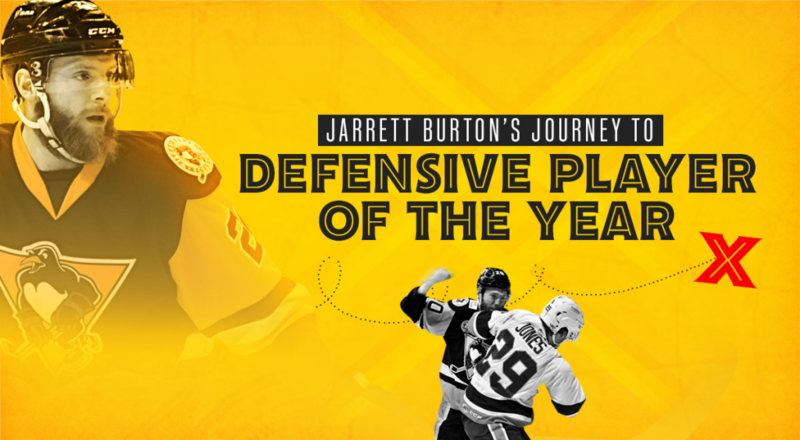 Defenseman Haydn Fleury gathered a puck behind the goal line and tried to throw it into the slot, but it ricocheted off of the bend at the back of Jarry’s knee and in, tying the game at one goal apiece. Warren Foegele had a chance to give the Checkers their first lead of the game when he took off on a shorthanded breakaway midway through the second period, but Jarry came up with a huge denial. 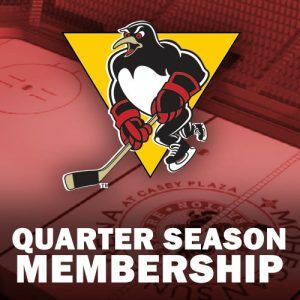 The Checkers did eventually take the lead when a seeing-eye shot from Josiah Didier navigated through a line of players and into the Penguins’ net with only 5:42 left in the third period. Wilkes-Barre/Scranton has handed a power play with 3:28 remaining in regulation, but couldn’t generate any shots on Nedeljkovic. 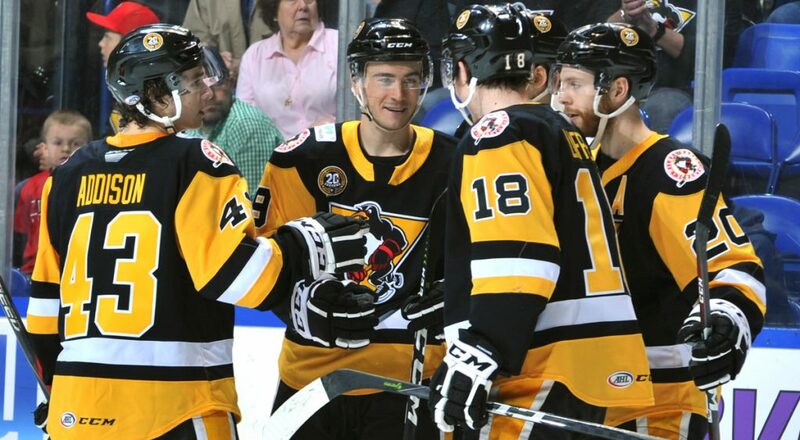 Right as the man advantage expired, the Penguins pulled Jarry for an extra attacker, but the Checkers scored on the empty net shortly thereafter. Empty net goals by Clark Bishop and Fleury separated by 14 seconds gave Charlotte a 4-1 lead and a 2-0 advantage in the series. Jarry finished the night with 24 saves, while Nedeljkovic posted 27 stops for the win. 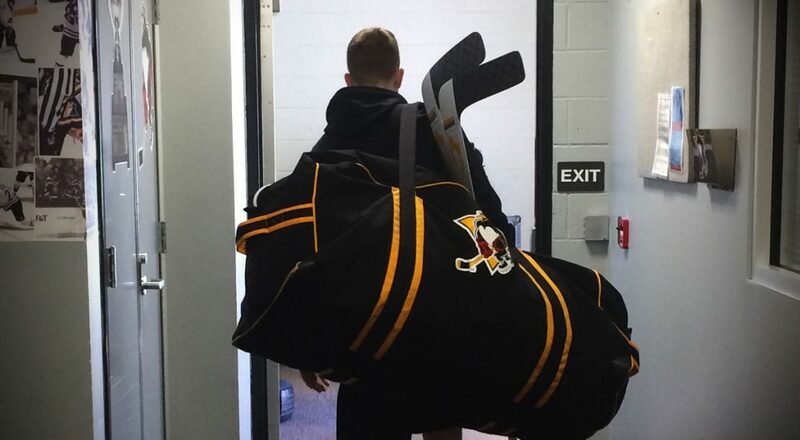 The series returns to the Penguins’ home ice for Game 3 on Thursday, Apr. 26. Ticket packages and individual game tickets for the Calder Cup Playoffs are now on sale. 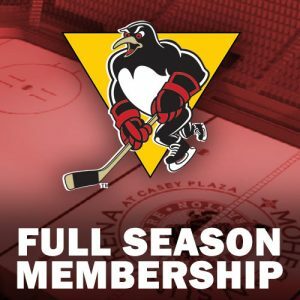 With the purchase of a postseason ticket package, fans will receive a $6 food/merchandise voucher for every game played in the playoffs. 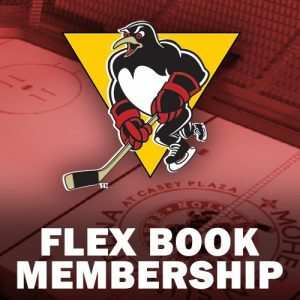 Wilkes-Barre/Scranton fans can secure their seats for every game on the Cup run by contacting the Penguins directly at (570) 208-7367.